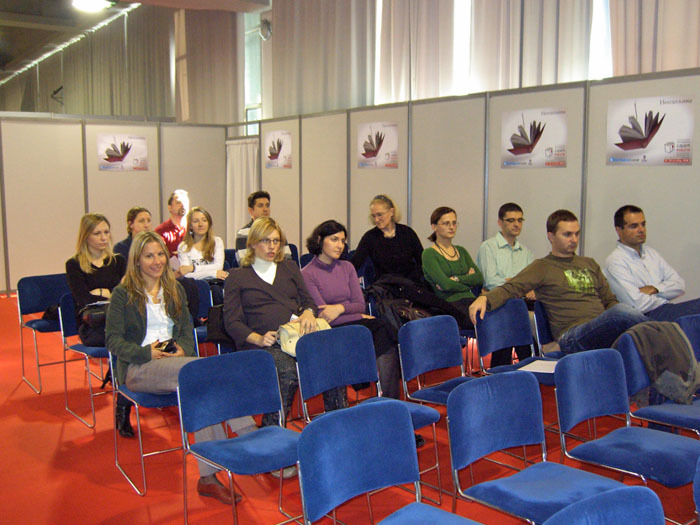 The Institute of Technical Sciences of SASA organized a presentation of selected papers from the Ninth Conference of the Materials Research Society of Serbia YUCOMAT 2007 on October 21, 2008. 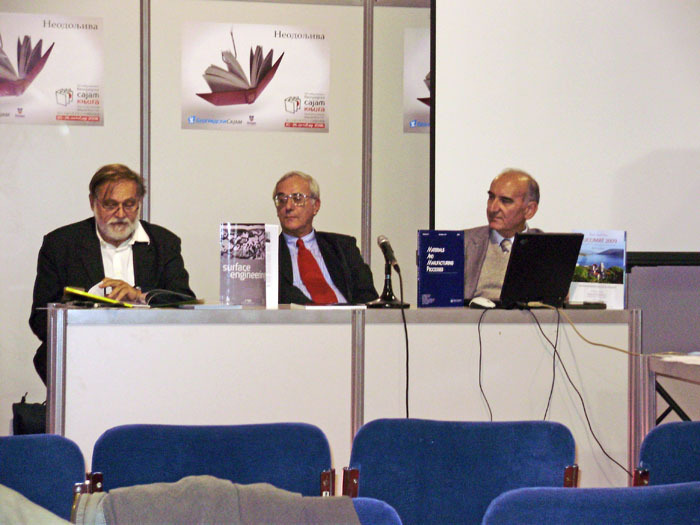 The presentation was held within the 53rd International Belgrade Book Fair. Unlike previous YUCOMAT Conference proceedings published within Materials Science Forum series (Trans Tech Publications, Switzerland), this time 22 selected peer reviewed papers were published in two renowned international journals: 16 papers make a separate issue of Materials and Manufacturing Processes (Vol. 23, Issue 6; Guest Editors: Prof. Dr. Dragan Uskoković, Dr. Slobodan Milonjić and Prof. Dr. Dejan Raković), whereas six papers were published in Vol. 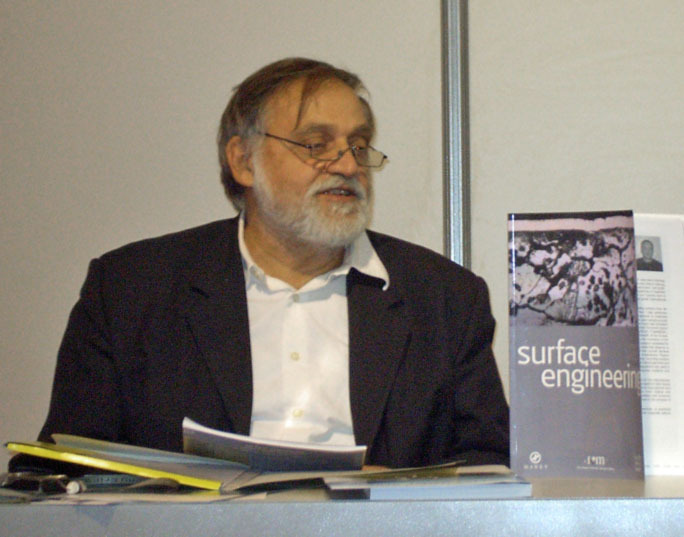 24, Number 4 of Surface Engineering (Guest Editors: Prof. Dr. Miodrag Zlatanović and Prof. Dr. Petar Uskoković). The published papers and the YUCOMAT Conference were presented by Prof. Dr. Dragan Uskoković, Director of the Institute of Technical Sciences of SASA, Dr. Slobodan Milonjić, Research professor at the Vinča Institute of Nuclear Sciences, and Prof. Dr. Miodrag Zlatanović, Full Professor of the Faculty of Electrical Engineering, University of Belgrade. 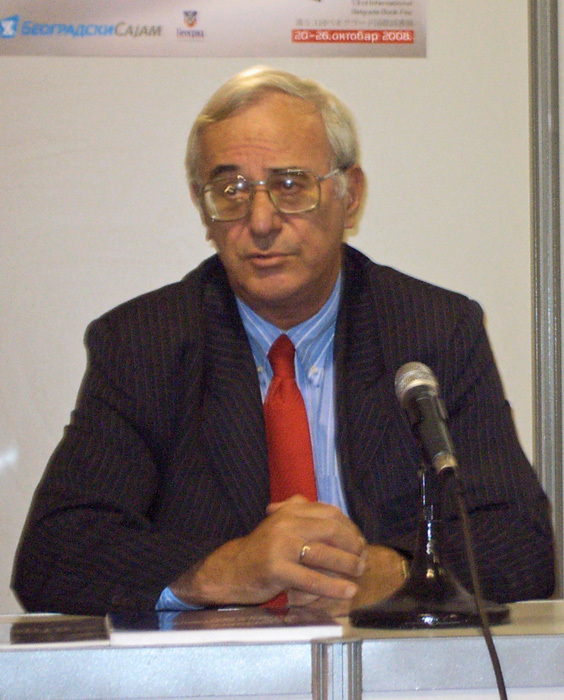 Prof. Dr. Dragan Uskoković made a brief overview of previous YUCOMAT Conferences – from 1995 until present, and announced the next, Eleventh Conference to be held in Herceg Novi between August 31 and September 4, 2009. 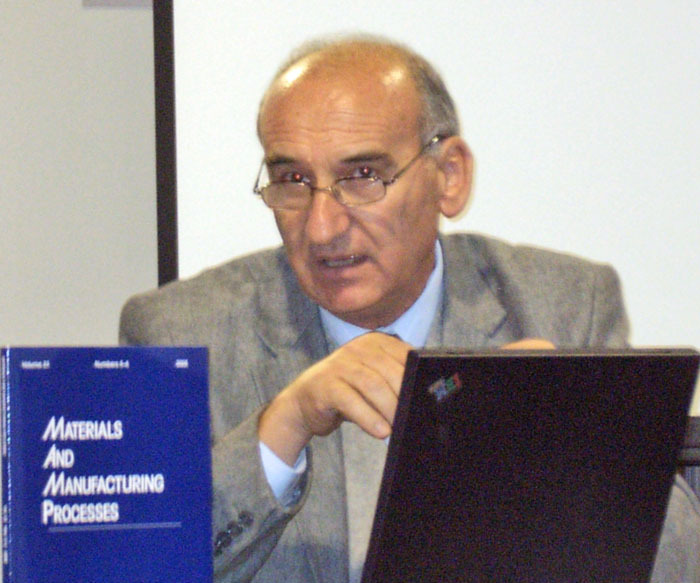 Dr. Slobodan Milonjić made an overview of the topics covered by the papers published in Volume 23, Issue 6 of Materials and Manufacturing Processes, whereas Prof. Dr. Miodrag Zlatanović presented the six papers published in journal Surface Engineering.